Welcome to Doc’s on the Bay...Come, Enjoy & Relax with us! Experience one of Jamaica’s best and unique treasures. 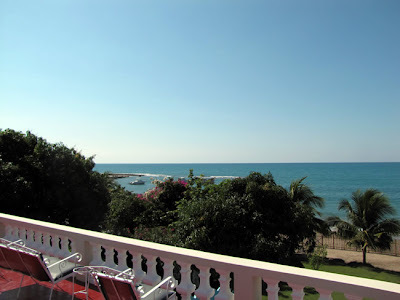 This brand new villa is situated on the South coast of Jamaica that offers the best beaches and swimming in the area. 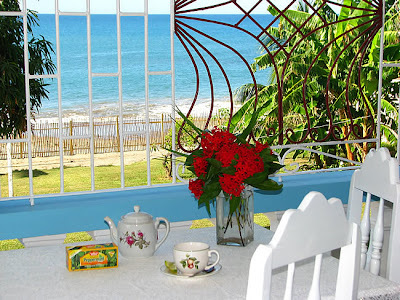 Guests will relax and enjoy the tranquility and peacefulness of this south coast haven. Doc’s on the Bay is an ideal place to enjoy an unforgettable experience. This property is built on the turquoise beach of Calabash Bay/Treasure Beach. Simply go through the professionally and scaped backyard to the beach or go upstairs on the roof top to catch some sun and in the evening enjoy the breath taking sun set. The property offers five spacious bedrooms each complete with its own en-suite. For your added enjoyment two of the bedrooms comes complete with multi-jet shower’s and double sinks. This tastefully decorated new villa offers many upgrades including new furniture and appliances. Two of the five bedrooms include an additional bed so you can easily accommodate 12+ people very comfortably. All bedrooms have air conditioning, private bath, running hot and cold water for your comfort and enjoyment. This property offers a large spacious living room with a flat screen TV and DVD player for your entertainment enjoyment plus internet all available in the main living room. The elegant dining room is spacious and can easily seat 8+ people or you can dine outside on the back verandah overlooking the ocean view. Also available is a large round table located outside in the backyard... the table offers built-in seats and can accommodate up to 6+ people. After enjoying a sea bath which is located just steps away by walking through the back yard, feel free to use the outside shower. Docs on the Bay is conveniently situated within walking distance of various local shops, entertainment and famous attractions. Talk a stroll to the popular Jack Sprat Cafe or a drive within 30-40 minutes to YS Falls, Lover’s Leap or Black River to visit the attractions, shopping and more. 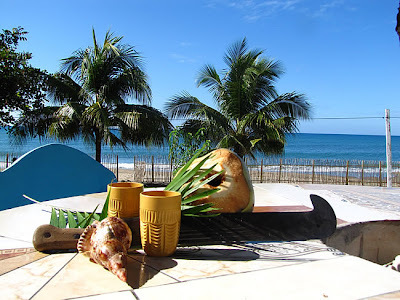 Whatever your pleasures enjoy.... then come back to serenity at your exclusive beach house. The property offers a mezzanine where you can engage yourself to the beautiful sites of the Santa Cruz mountain - a breath taking view. 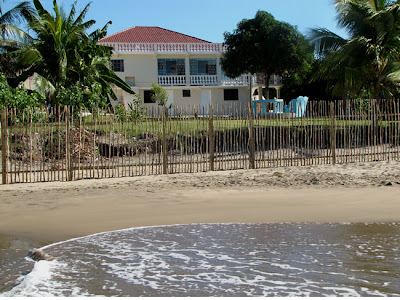 Discover Doc’s on the Bay where you will enjoy a spacious brand new house situated right on the beach for a relaxing and comfortable stay at affordable rates. Doc’s on the Bay provides all the amenities required for your family or friends needed for that memorable holiday or special occasion. Our friendly staff awaits for your arrival. Created by: www.EyeTreasureBeach.com / A Parchment Design.